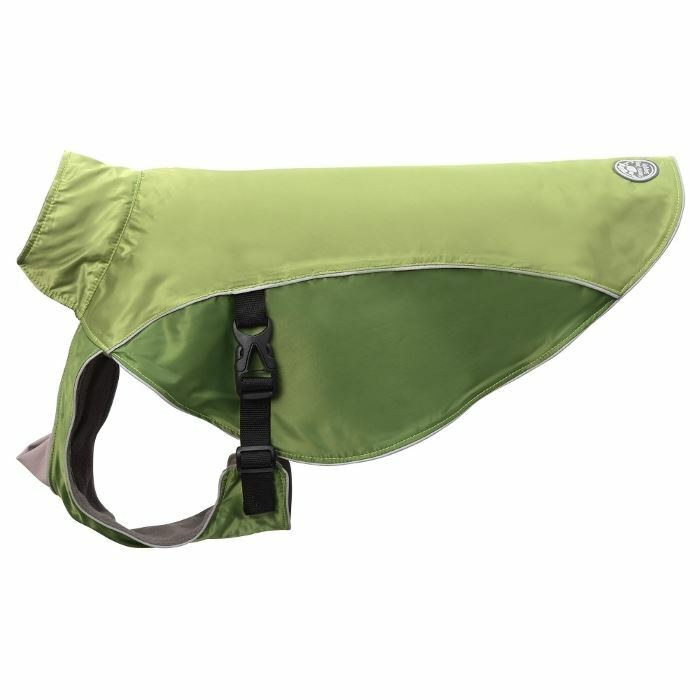 The Green Water Resistant Dog Coat by Doggles is the perfect winter item to keep your best friend cozy and comfortable. The Green Water Resistant Dog Coat by Doggles features over the head styling and a solid chest panel with stretchy V insert allowing mobility for any type of activity. Keep your canine warm this winter! It's water resistant and fleece lined to keep your pup snug. Simple and elegant design is very functional and fits a broad range of dogs. Simple, one piece style slips over the head and buckles around the girth. Easily adjustable with high end Duraflex buckles. Reflective trim all around. Stretchy V insert in chest panel. D ring peek hole. Fleece lined. * Back length is from base of neck to base of the tail. Girth is measured around the widest part of the ribcage.